Sony announces the global launch of its PlayMemories series. This suite of services and applications lets consumers enjoy their videos and photos on devices including LCD TVs, personal computers, tablets, and smartphones. PlayMemories makes it easy to view, edit and share videos and photos whenever you want, wherever you want and on your chosen device. Sony is already committed to offering a range of products and services to capture everyday moments as well as professional-quality video and photos. PlayMemories realizes the concept of ‘Play more, all your memories’ and enriches consumers’ post-shooting digital imaging experiences. 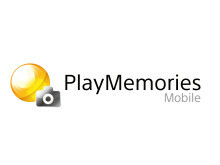 · PlayMemories Online – a cloud-based service for easy managing and sharing of videos and photos. · PlayMemories Home – an application for organizing and editing videos and photos on personal computers. · PlayMemories Studio – an application for organizing, editing and viewing videos and photos on PLAYSTATION®3 (PS3®). 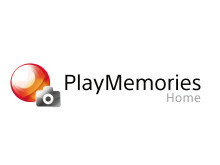 · PlayMemories Mobile – an Android/iOS app for transferring videos and photos to smartphones or tablet devices from Wi-Fi enabled and compatible cameras such as Bloggie Live announced in U.S.A.. Hosted by Sony, this cloud service allows easy uploads of videos and photos captured with digital cameras or camcorders to enjoy anytime, anywhere, on devices including compatible BRAVIA TVs, personal computers, tablets, and smartphones. Just sign in through your Sony Entertainment Network account as usual to enjoy video and audio streaming services. Bundled with cameras and camcorders by Sony, this PC software application lets consumers transfer, organize, view, edit and share their still images and videos. Organizing & Viewing: The friendly interface makes it easy to upload images from any PC straight to the Cloud. ‘Calendar View’ and ‘Map View’ simplify organization of videos and photos by date or location. Editing: 2D and 3D images can easily be edited and copied to a Blu-ray Disc. Sharing: Enjoy the convenience of fun, easy uploads to PlayMemories Online and other popular sharing sites like Facebook® and YouTube™. Thanks to the immense processing power of PS3®, videos and large image files can be zoomed and scrolled smoothly. Have fun editing HD video content right on your TV screen: managing images and clips with your DUALSHOCK®3 wireless controller is as easy and intuitive as playing a video game. It’s also possible to control the application remotely with PlayStation® Vita or PSP® (PlayStation Portable), via Remote Play. A free time-limited trial version is also available at PlayStation® Store. Organizing & Viewing: View all your images stored on PS3®, cameras, external hard drives and connected USB storage devices. Searching and sorting images by date or location is also very easy. Editing: Easily add visual/sound effects such as slow motion. Adding captions and other text to your footage is as easy and fun as playing a game. Sharing: Uploads to Facebook®, PlayMemories Online and other services are quick and easy. Available as a free download in early January 2012 at Android Market and App Store(SM), PlayMemories Mobile is an app for Android™ or iOS devices that allow images captured with Wi-Fi enabled and compatible cameras such as Bloggie Live announced in U.S.A to be transferred to smartphones or tablet devices. Images can be also uploaded to Facebook®, Youtube™ and PlayMemories Online.